Obama Called Ethiopia a Democracy. It Is Not. 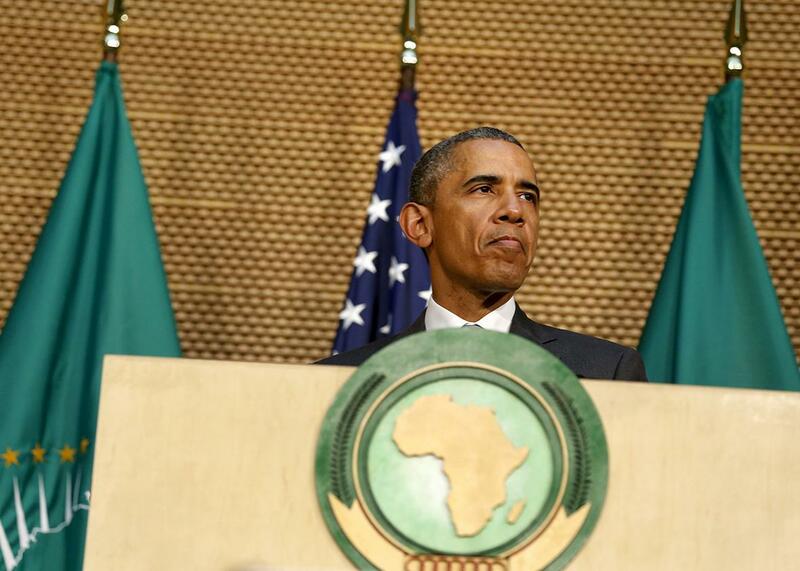 In the first ever speech by a U.S. president to the African Union, Barack Obama criticized African leaders for clinging to power, saying “nobody should be president for life,” (though he joked he could win a third term if the U.S. constitution would allow it). He also denounced countries that institute “democracy in name, but not in substance” while jailing opponents and journalists. Obama’s own State Department cited these problems as well as “alleged arbitrary killings, alleged torture, beating, abuse, and mistreatment of detainees” in its recent human rights report. Ethiopia might not have “presidents for life,” but Hailemariam’s predecessor, Meles Zenawi, served for 17 years before dying in office and being replaced by the party’s chosen successor. At least Obama did urge the “fledgling democracy,” as he put it, which has seen years of rapid economic growth under the EPRDF’s rule, to include more voices in the political process. Ethiopia is also seen by the U.S. government as an important partner in fighting militant groups like al-Shabaab. Ethiopian troops are on the front lines fighting the group in Somalia, and U.S. drones have been launched from its territory. Obama’s generous description of the country’s democratic progress doesn’t do much to dispel the impression that the U.S. will only go so far in pushing its counterterrorism allies to clean up their act.